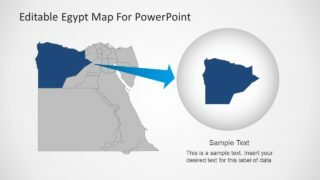 Editable Egypt Map PowerPoint Template is a presentation containing eight different slides with outline and political maps of the Arab Republic of Egypt. 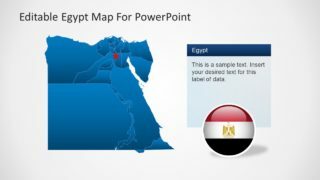 Egypt is a transcontinental country, spanning thought the north east of Africa and the south west of Asia. 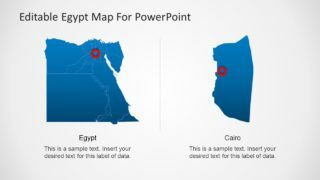 The Nile, the largest river in Africa, crosses Egypt from south to north, and the north of the country is bordered by the Mediterranean Sea. 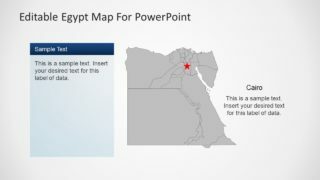 Egypt is one of the most populous countries in Africa and the Middle East, and the great majority of its people live near the banks of the Nile River. Egypt borders with the Gaza Strip, Israel, The Gulf of Aqaba, the Red Sea, Sudan and Libya. 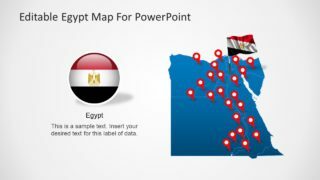 Egypt is the country with the longest histories of the modern states, tracing back to the 10th millennium before Christ, and where the the emergence of one of the earliest and most sophisticated civilizations happened; “The Egyptian Civilization” home of the Pharaohs and the huge pyramids. 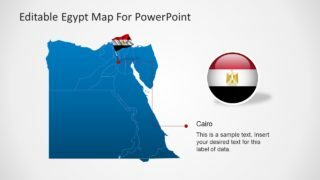 Egypt’s iconic monuments as the Giza Pyramids and the Great Sphinx, as well as the ruins of Memphis, Thebes, Karnak and the Valley of Kings belong to the list of today’s most important archaeological places around the world. 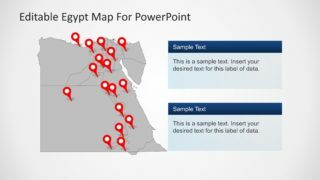 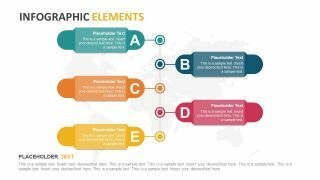 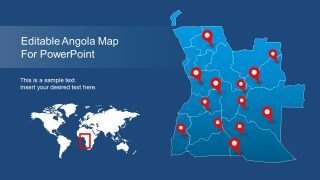 This PowerPoint presentations will provide flexible editable shapes for the user to identify archaeological locations with GPS markers, and highlight states with high concentration of ruins or archaeological places. 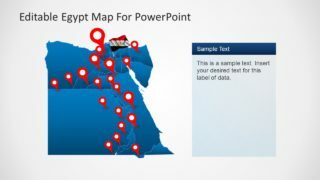 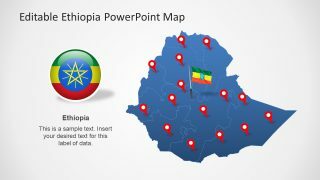 The Editable Egypt Map PowerPoint Template provides the national flag and a colorful icon representing Egypt national colors. 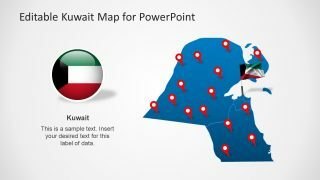 This presentation is ideal for geography and history lectures, as well as tourism itineraries to present to a travelling group.